PIZZA REPORT: Solid. This thin crusted, tasty tomato sauced, pizza loaded with shredded mozzarella cheese and toppings really hits the spot [in your stomach]. On both pies, there was no shortage of quality toppings which both flavor each bite and fill you up, since the crust likely will not. 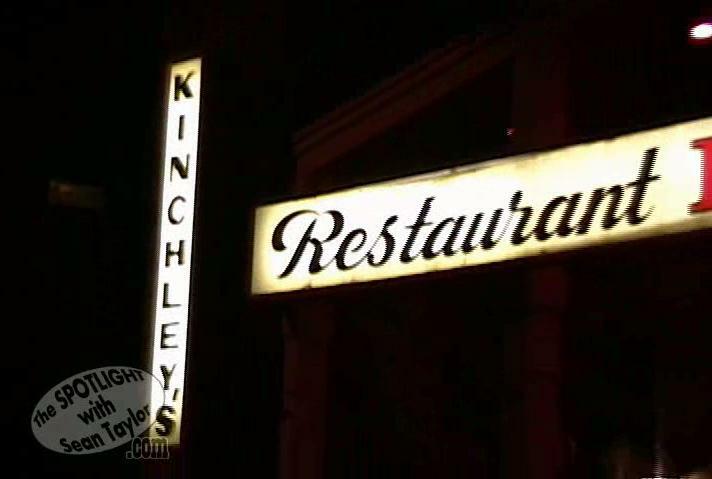 ATMOSPHERE: Kinchley's is the ideal place for a pizza party for a group of kids. It's family friendly, well lit, with plenty of decorations ranging from seaonal to railroad-ial (tons of trains). Its also open late and plays a great collection of nice music at the perfect volume. MISC:1. Kinchley's was the third pizza place we tried and, luckily, was still serving to enable me to get pizza just before midnight. Thanks Steve and Jaime Jackett for keeping Pizza Month alive! 2. I misprounce the name of the place everytime but the first time. I also forget where I am in the rush.